Are you experiencing a lack of clarity and alignment in your business? Are you struggling, spending lots of energy, but feeling like you’re paddling upstream? 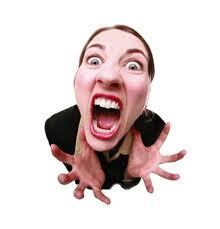 Do you feel overwhelmed – bombarded by all the marketing ‘should-dos’ and stuck in procrastination? Or are you such a creative individual that you don’t know which brilliant idea to follow and just want a simple plan? If you said “YES!” to any of these questions then you might have a problem with your brand. Think of it a process that helps you get clearer about who you really are, what you stand for and who you’re here to serve in the world. It’s a unique template for your life, for living your purpose and fulfilling your amazing potential. And for conscious, heart-centred entrepreneurs like us, our business is the vehicle for accessing that potential. All the incredible opportunities for growth and expansion it brings makes having a business perhaps the most powerful transformational journey you can take. But when you lack clarity about your purpose, your vision, your uniqueness and the people you’re here to help – and how to express all that in a way that reflects you authentically, well, it can be painfully frustrating. Not having a clear brand can also be a big drain on finances, energy, confidence and time. And when you’re not feeling aligned with your brand it’s definitely not the moment to spend large on marketing in the hope it will swell your bank balance. Your energy and message must be aligned and you need to be excited about what you’re selling. After all, it’s your passion, expertise and enthusiasm that people will buy into before they buy your services. Uncovering your brand from the inside out, by connecting with your heart and the truth of who you really are, is like looking through binoculars and gradually refocusing them from fuzzy suggestions and hints of what’s possible for your business and life, to full, sharply defined clarity so that you can see where you’re heading and what needs to be done to get to where you want to go. …So are you communicating ALL your depth and magnificence? You have so much inherent value in who you are, and a way to communicate that value to others is through your story. Your story makes all the difference in creating a distinctive brand that makes you stand out. So if you’re not squeezing every bit of juice from that magic into your brand then you’re missing a trick – and the people who need your unique brand of awesomeness will be missing out too. My background’s in graphic design and visual communication, but I’ve also been a trained therapist, world traveller, English teacher and spiritual coach with many years experience. I love helping people find freedom to be themselves, move through the blocks to their success, and I’m especially passionate about the confidence and transformation that comes as a result of the process of connecting to your inner power, guidance and purpose. Who’d have thought graphic design and spiritual development could go hand in hand? The truth is, there is a way to bring all the different parts of you together too, to create a unique business on your own terms that truly communicates your value, your passion and your purpose. And when you do that, and you share who you are from that authentic place your ‘tribe’ will recognise you. They’ll be able to connect emotionally with your message and vision, they will want to stay connected because of how you make them feel, and because they believe in what you stand for. And that’s the first step to becoming a loyal client. So all you have to do is show your true colours, let them shine and be yourself. So if you feel called to go on a deep journey to find your true core brand essence then I have some great news! I’m running a SPECIAL SUMMER OFFER. 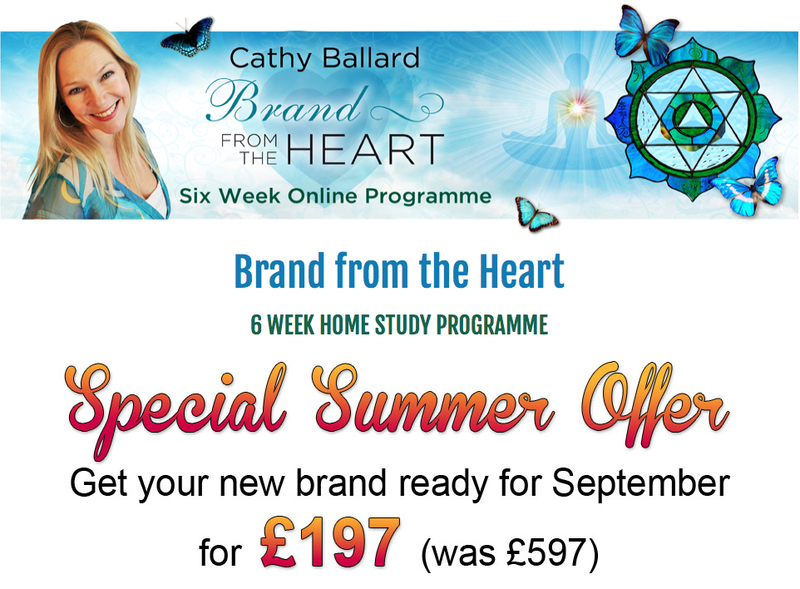 I’m selling Brand from the Heart Online for only £197 until the end of the summer holidays (full price is £597). I ran the six week course twice last year as a live home study programme, and now you can access the recordings that will give you all the steps you need to create your own unique brand. Understand what goes into creating a brand identity so you can confidently brief a designer, copy writer or other professional to represent you perfectly. So click through to the website for more information on all the modules and how to make payment. If you have any questions then please message me here, send me an email or find me on my Facebook page. I’d love to hear from you. * Please note that there is no bonus accompanying Facebook group with this offer. I look forward to helping you create the business and brand that is aligned with your heart and authentic success. P.S. Upgrades to the programme are available to give you extra 1-2-1 support. Or you can get your brand done fast by having a Private VIP Intensive Day with me. Contact me to arrange a time to talk. Brand from the Heart Online offered all I needed when I was looking for a new direction, but couldn’t find the way forward. I was pretty frustrated and felt I had lost it! All I wanted to do was coach people, but nothing had been happening for over two months because I didn’t know what my coaching should be about and for whom I was as a coach. Doing the course enabled me to clarify what my coaching should be about. It was very helpful to start getting a sense of who my ideal client, or target audience were. It gave me a good sense of what branding means and made me realise that I had no idea at all, prior to the course. In all, the gained clarification has enabled me to regain my confidence when networking and talking about my coaching as I am clearer about what I am good at, what I want to coach on and who my client is. “The reason I wanted to do this course was to find some focus and clarity to be able to introduce myself and communicate what I’m about clearly so people will know if they want to work with me or not, and I wanted to get clearer about my vision. “The main reason I chose to do the course was because I wanted to be clear about my personal brand and to be able to express who I am clearly. I was feeling unsure of what to focus on and I was confused.